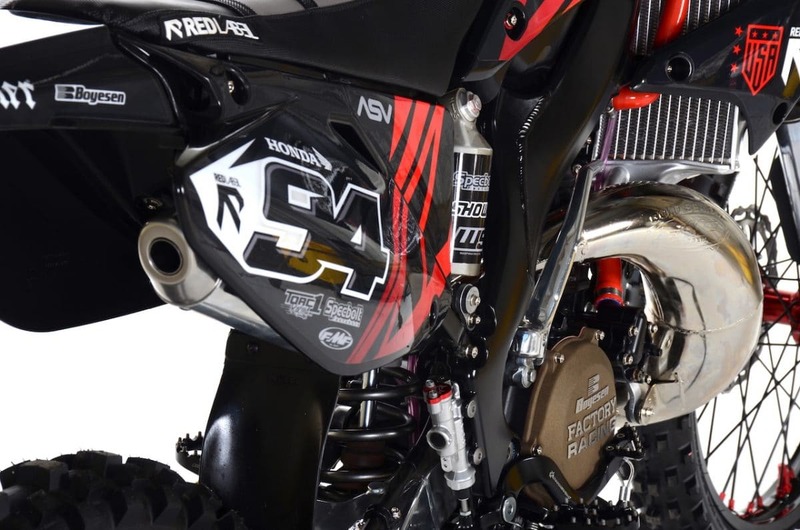 On this week’s Two-Stroke Tuesday we give you an exclusive first look at our Honda CR250R build with the crew at Red Label MX. 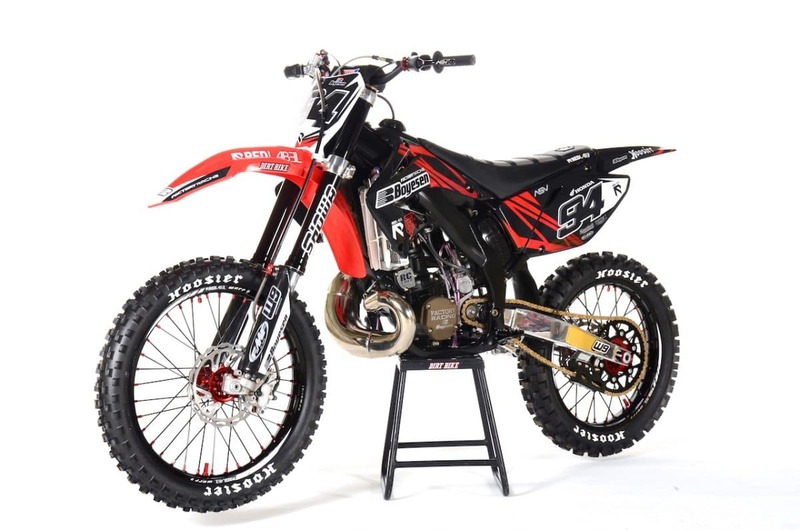 There are products from Seal Saver and Wiseco featured in the 2-Stroke Hardware section and 2-Stroke Theater is all about Honda two-strokes this week. If you are a fan of early ’90s Honda’s check out the exclusive link at the bottom of this post! With this build Eli and the crew wanted to do something different so they went to the dark side literally . Lots of black coated parts on this one. Some of the companies used on this build include Warp 9, Hoosier Tires, Samco Hoses, Boyesen, FMF, Spec Bolt and Hamerhead designs. 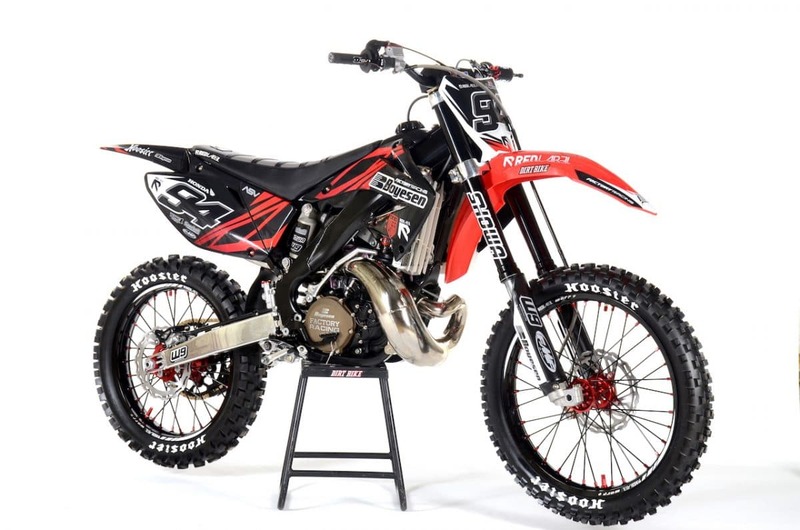 The FMF platinum pipe and shorty silencer combo provide some much needed performance increases but also pop against all the black on this build. All the hardware you see holding this power plant together are from Specbolt. The Nickel Wurks kits come in complete bike kits and engine dress up kits. It’s very surprising to see the difference they make. 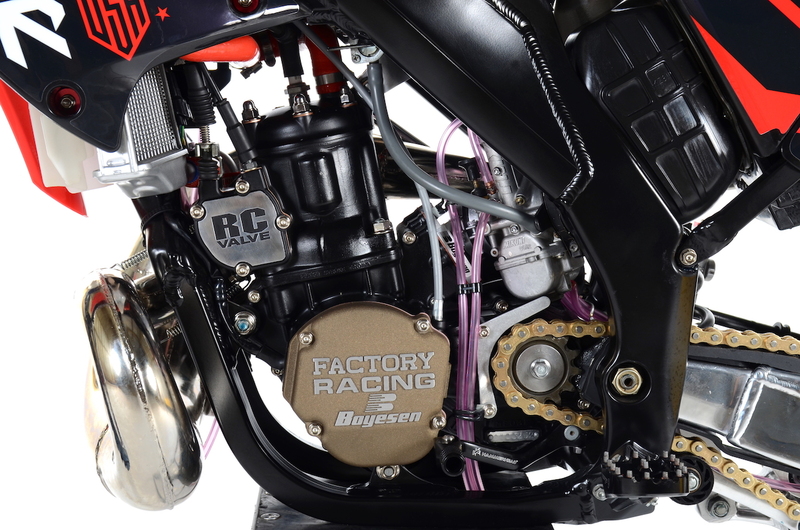 Boyesen cast aluminum covers are made completely in-house at their facility and are available for almost any older two-stroke application. 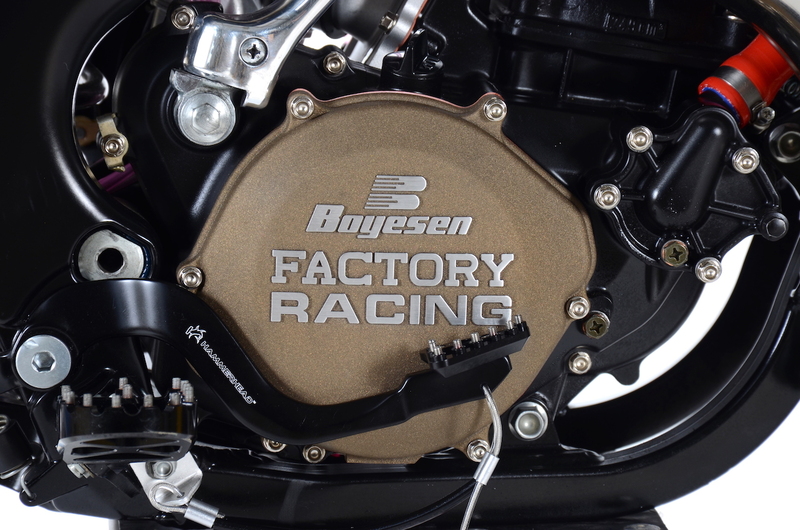 Boyesen also have billet aluminum covers available for some newer applications as well. 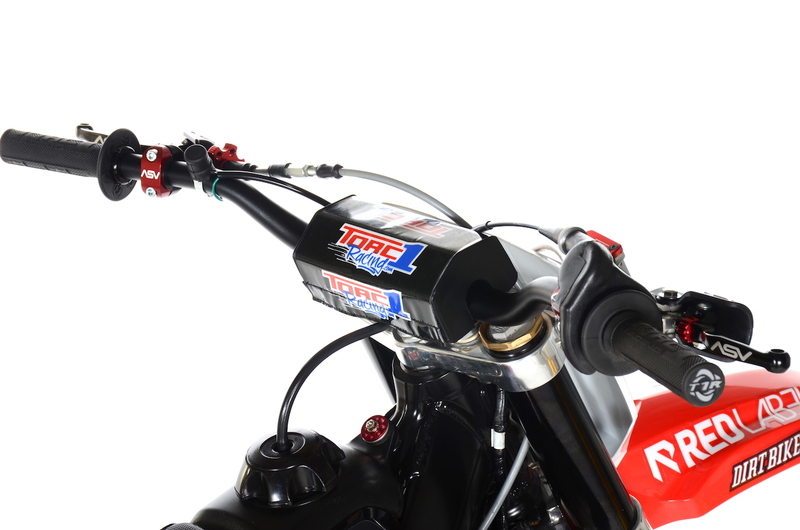 Torc 1 Attack handlebars and Defy Lock-On MX grips compliment each other well. ASV handled the clutch perch and brake lever. 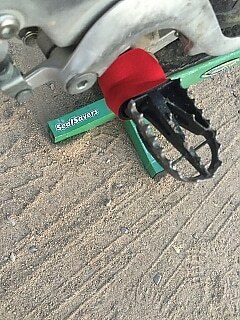 PegSavers are designed to help keep rocks, mud and dirt from getting into your foot peg hinge, allowing your pegs to stay in a horizontal position. Made out of the same material you are familiar with from SealSavers. Installation is a breeze, simply slide the Peg Saver over your peg. Stretch the material around the peg. One size fits most pegs. Available in a variety of colors. Four per pack. Wiseco’s new Garage Buddy engine rebuild kits offer everything you need for a bottom and top end rebuild. From the crank to the piston kit, and even an hour meter to track maintenance, everything is included in one box. 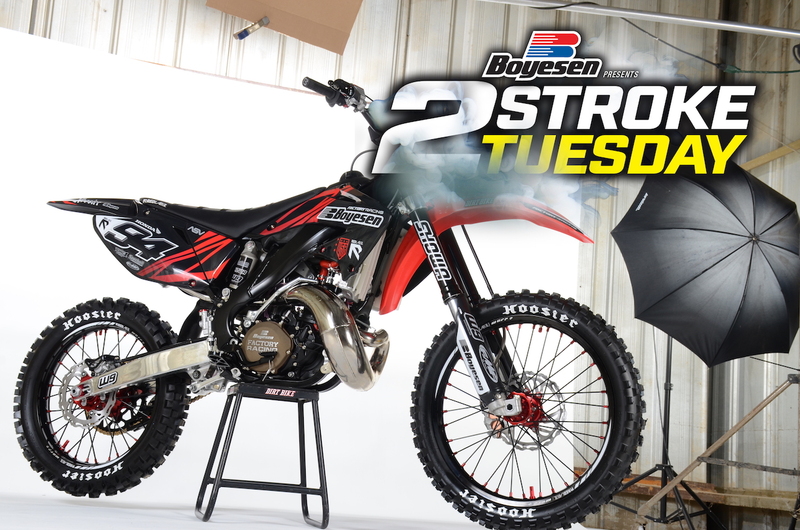 If you like all the Honda two-stroke projects on this week’s Two-Stroke Tuesday here is one more that is sure to get your heart pumping! Click the image below for more.